The result of 5 states assembly election has now declared. The Indian National Congress except Puduchery has encountered a big defeat in 4 states; namely, Asam West Bengal Kerla and Tamilnadu. The congress lost its regime in Asam and Kerla; and the poll results are bad than ever before in Tamilnadu and West Bengal. The congress in Kerala emerged in only 23 seats out of 140 in spite of alliance till noon; the cong candidates were leading in 23 out of the 126 assembly seats of Assam; the congress has lost here its power. The congress alliance in keral had taken the government power from Left. The working genre of CM Ooman Chandi was continuously in protest by opposition. Mr Tarun Gogoi, the chief minister since past 15 years, was unresponsive to the development work in state. The atmosphere against the ruling cong government in both states played a role to ouster it from power. That the cong after its alliance had to face the Left in Kerla -- go together the Left in West Bengal was very costly. 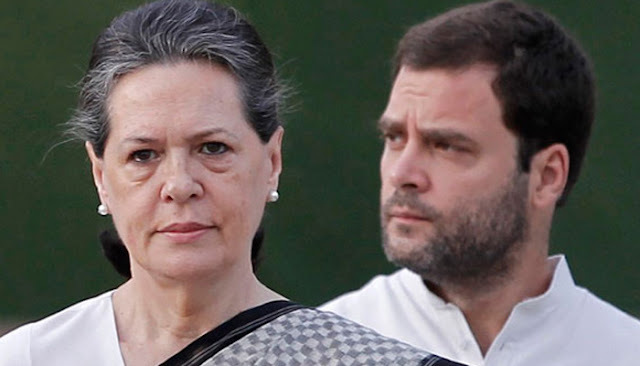 The cadre base left parties could not generate a confidence on the attitude of congress. The love and hate relationship could not emerge between the cong and Left. This was the chief cause that the congress could mere secure 40 of the 294 assembly seats in Bengal, and has lost power in Kerala. As the assembly election was going on, the central leadership of congress was puzzled by other causes. At the hours of preparation, the central leadership was wasting its time in national herald case; Augusta West Land chopper deal scam during the election; and shouting of anti-national slogans in JNU; and the matter suicide committing by Rohith Vemula in Hyderabad university took time for politicizing the issue. The continued visit of Rahul Gandhi had no local issues; only the issues of central government and self clarification for the allegations were running on the stage there. The congress leadership was wasting time to put the clarification of allegations during the election campaign. Whether it may be the alliance with the regional party; or the attacking genre of poll campaign, the congress president Sonia Gandhi and the vice president, Rahul Gandhi both had no response of Modi and Shah Strategies. That the issues by BJP posed in Assam made tightlipped congress. The congress leadership was disturbed in targeting the PM Modi and the BJP even in the stronghold areas of other states. The alliance in Tamilnadu with DMK congress could not add double digits in its seats. The state results of election may be in the favour of different parties, but all these have no matching with political thoughts of congress.